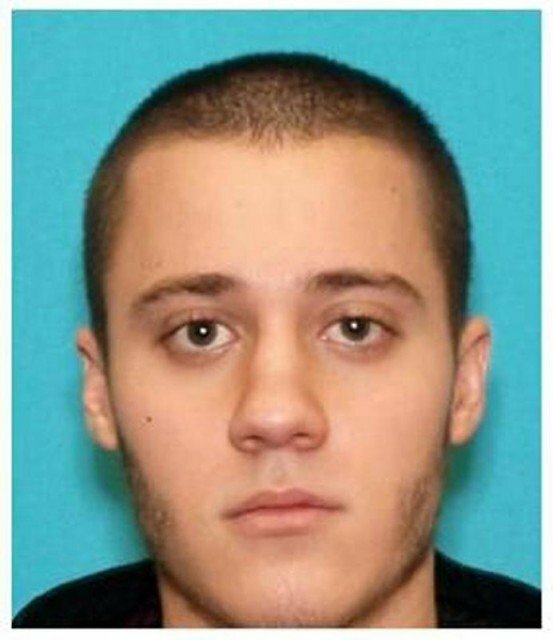 Paul Anthony Ciancia – the man charged with murdering a federal security officer at Los Angeles International Airport in November – has pleaded not guilty in California. Paul Ciancia, 23, denied first-degree murder and 10 other charges during a brief court appearance. The trial was set for February 11th in LA federal court. Gerardo Hernandez, 39, a father of two, was checking IDs when he was shot dead. Three other people were wounded in the attack. Paul Ciancia had been taken to hospital after being shot by police four times. Hernandez was the first Transportation Security Administration (TSA) agent killed in the line of duty since the agency was formed in 2001. After coming to the US from El Salvador as a teenager, Gerardo Hernandez married his wife on Valentine’s Day in 1998. He had worked at the airport since 2010. Paul Ciancia allegedly entered Terminal 3 at the airport on November 1st with a rifle and shot Gerardo Hernandez at close range. Police say Paul Ciancia had a handwritten letter stating he wanted to kill multiple TSA officers and “instill fear in your traitorous minds”. Dean McDermott cheated on Tori Spelling with Emily Goodhand?